Jakob talks a bit about why these tracks didn’t make it onto the final album. We’re pleased to announce the official release of Coal Aberrations by Moonwood. 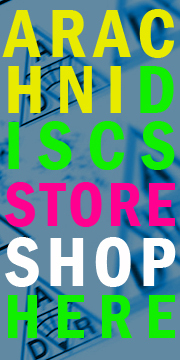 Click the image to go to the Arachnidiscs Store. This is the first Moonwood release to feature performances by musicians other than multi-instrumentalist Moonwood (Jakob Rehlinger). Moonwood collaborators include Rehlinger’s New Yaki cohorts Andrew Macgregor (Gown/The Bark Haze) and Stephen Wolf (Partli Cloudi/Summer Amp) as well as Ameen (Healthy Animal), Robert Gray (robrobrob), Elgin-Skye, Eli Korsorado (Brave New Waves), Richard Holiday Cartwright (Everything Is Geometry), Rose Redweed (Dirtnap), Mandi Hardy and Kyprieth. Operating under the maxim “the whole is greater than the sum of its parts“, Moonwood invited an international group of musicians to submit solo improvisations on their instruments (from tin cans to cellos) sight unseen—or sound unheard as the case may be—for him to build full compositions in and around. Some takes were mixed directly into existing arrangements (Eli’s sax/Kyprieth’s flute), others were used as a launching-pad (Dirtnap’s piano/Heathy Animal’s rhythm drones/Gown’s guitar) for whole new pieces. The result takes Moonwood’s loose acid folk to both freer/noiser extremes (“Deep Soul #3“) and towards more structured, almost neo-classical/post-rock compositions (“We Are Already Dead“) while retaining the brooding, free-form feel of the previous release, Aubade. The covers are printed! The discs are burned! Almost ready to be released to the public. Check out this video for RobRobRob’s “Red 2” made by BuchoFilm. 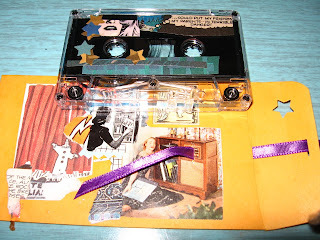 You are currently browsing the ARACHNIDISCS RECORDINGS blog archives for May, 2010.